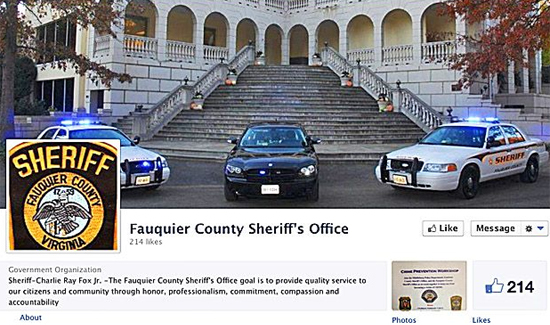 (Virginia)—The Fauquier County Sheriff’s Department is dropping its application to partner with federal-immigration officials under the controversial 287(g) program because Sheriff Bob Mosier no longer believes it’s necessary. Mosier said Wednesday he made the decision because of what he understands to be a recent change in protocol by U.S. Immigration and Customs Enforcement. The agency has pledged it will now issue both warrants and detainers for suspected undocumented immigrants in the custody of local jails – a change the sheriff said will give deputies proper authority to comply with ICE requests whether they have a formal agreement with the federal agency or not. In some instances, ICE officials ask local law-enforcement agencies to detain inmates up to 48 hours longer than they ordinarily would to give ICE officials time to pick them up. Judges around the country have ruled that the detainers can violate inmates’ constitutional rights because, in effect, they constitute a second arrest for which local law-enforcement agencies have no probable cause to keep an individual in custody regardless of whether they are in violation of immigration rules, which are civil—not criminal.